The haze over Delhi and Northwest India seen during winters is not only causing problems to people on the ground but also impacting atmospheric climate. A new study by an international group of researchers has found that the composition of a class of carbon-carrying aerosols in the haze changes as it travels from above the landmass to the oceans. The light absorption capacity of brown carbon — a key component of the haze — decreases during transport but its bleaching half-life is 3.6 days compared to 9 to 15 hours in other regions. This means that brown carbon stays in the South Asian atmosphere for a longer duration and thereby may contribute to warming of the region, according to researchers. The haze, also called atmospheric brown cloud (ABC), contains several types of particles emanating from vehicular pollution, biomass burning and other sources. This layer of polluted air plays critical role in regional climate as it both absorbs and scatters incoming solar radiation. Two important light-absorbing components of ABC are black carbon and brown carbon. While black carbon mainly comes from sources like diesel combustion, brown carbon is a result of biomass burning. The new study focused on brown carbon as little was known about its light absorption capacity as it travels over the oceans. Researchers measured air samples in Delhi, located in the middle of the Indo-Gangetic Plain (IGP); Bhola in South Bangladesh, which is at the edge of IGP; and at the Maldives Climate Observatory at Hanimaadhoo where the brown cloud reaches after long-range over-ocean transport. It was found that the chemical composition of the aerosols changed between sites and over time. Water-soluble brown carbon concentrations were highest in Delhi, lower at the site in Bangladesh and lowest in the Maldives. Measurements of water-soluble extracts of brown carbon showed notable differences in light absorption characteristics between the three locations, with brown carbon molecules losing their warming capacity during transport, according to the study published in journal Science Advances on January 31, 2019. “Through measurements at three locations, we were able to determine the ability of brown carbon to absorb solar light (and thus warm the surrounding atmosphere) and how fast this ability was decreasing due to a photochemical oxidation — a process we call bleaching,” explained Örjan Gustafsson from the Department of Environmental Science and Analytical Chemistry, Stockholm University, who is a senior member of the research team, in an e-mail interview with India Science Wire. Since brown carbon in South Asia seems to have longer bleaching half-life, it has implications on warming in the region. “As of now, we cannot comment what is the ‘true’ warming capacity of brown carbon. We can, however, say that previous global modelling studies relying on ‘set’ values of brown carbon light-absorption might have wrongly estimated the warming effect,” explained Sanjeev Dasari, PhD student at Stockholm University and first author of the study, while speaking to India Science Wire. “This study is for winter months but still has crucial information considering that the leading hypothesis for the reduction in monsoon over the past few decades has been the solar dimming by aerosols. It is clear that both climate prediction and projection models need to understand impacts of such drastic transformation of brown carbon properties,” commented Raghu Murtugudde, professor of Atmospheric and Oceanic Science and Earth System Science at the University of Maryland and a visiting professor at IIT Bombay. He was not associated with the study. 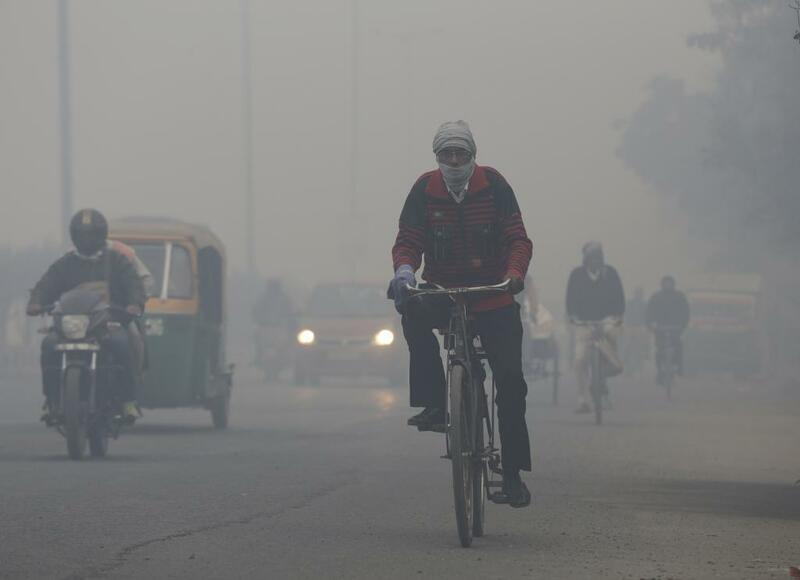 Is Delhi's smog its own?